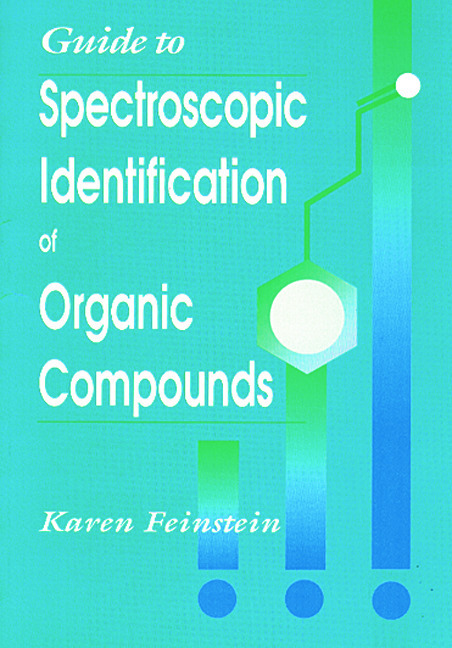 Guide to Spectroscopic Identification of Organic Compounds is a practical "how-to" book with a general problem-solving algorithm for determining the structure of a molecule from complementary spectra or spectral data obtained from MS, IR, NMR, or UV spectrophotometers. Representative compounds are analyzed and examples are solved. Solutions are eclectic, ranging from simple and straightforward to complex. A picture of the relationship of structure to physical properties, as well as to spectral features, is provided. Compounds and their derivatives, structural isomers, straight-chain molecules, and aromatics illustrate predominant features exhibited by different functional groups. Practice problems are also included. Guide to Spectroscopic Identification of Organic Compounds is a helpful and convenient tool for the analyst in interpreting organic spectra. It may serve as a companion to any organic textbook or as a spectroscopy reference; its size allows practitioners to carry it along when other tools might be cumbersome or expensive.